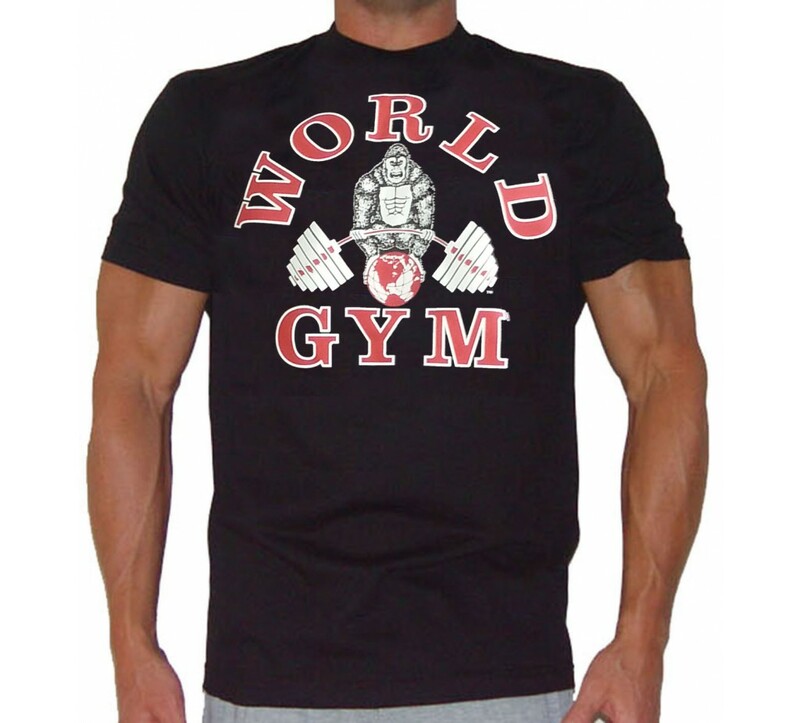 This sku is for the 3X-5X World Gym shirt in jumbo sizes. 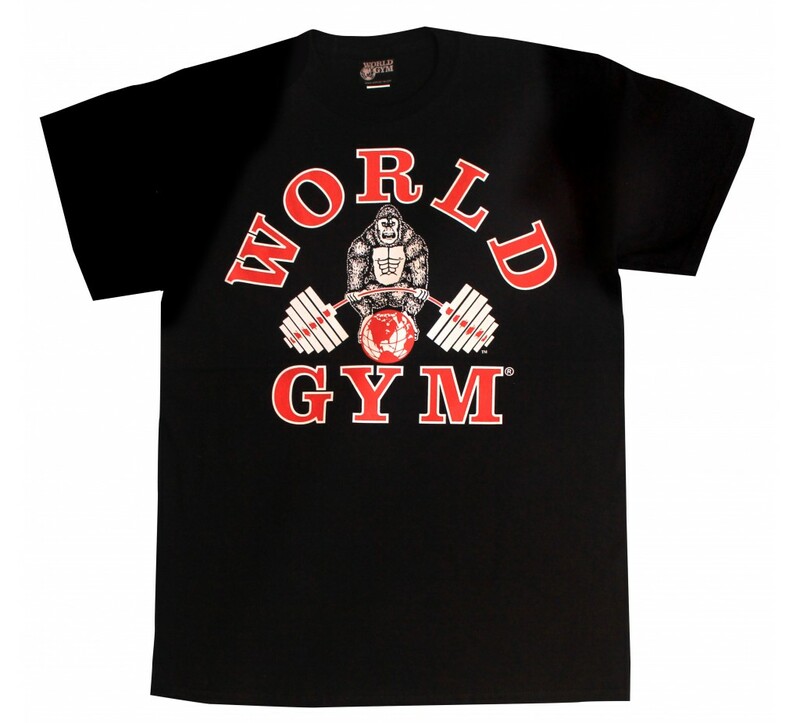 Please see the W101 listing for M-2XL. 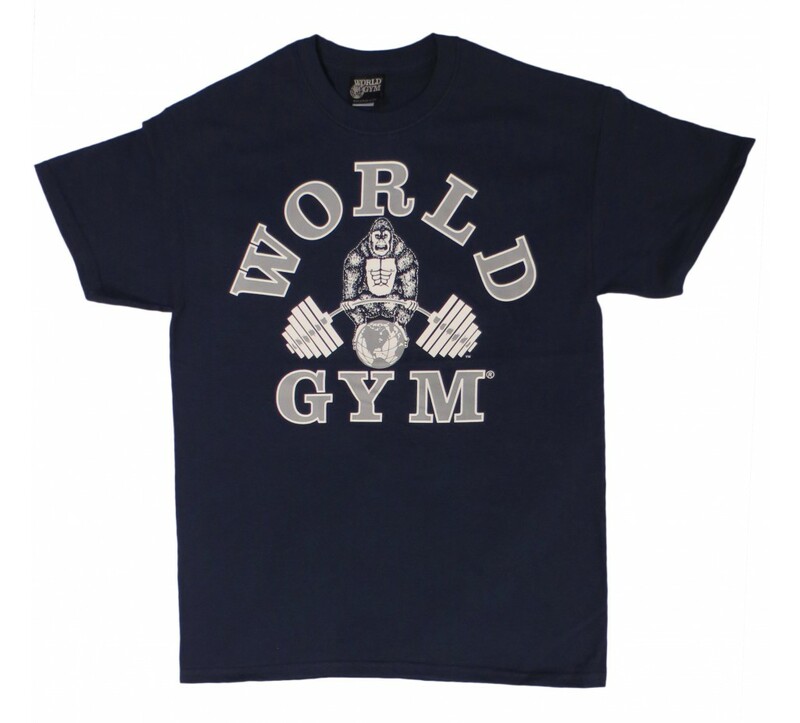 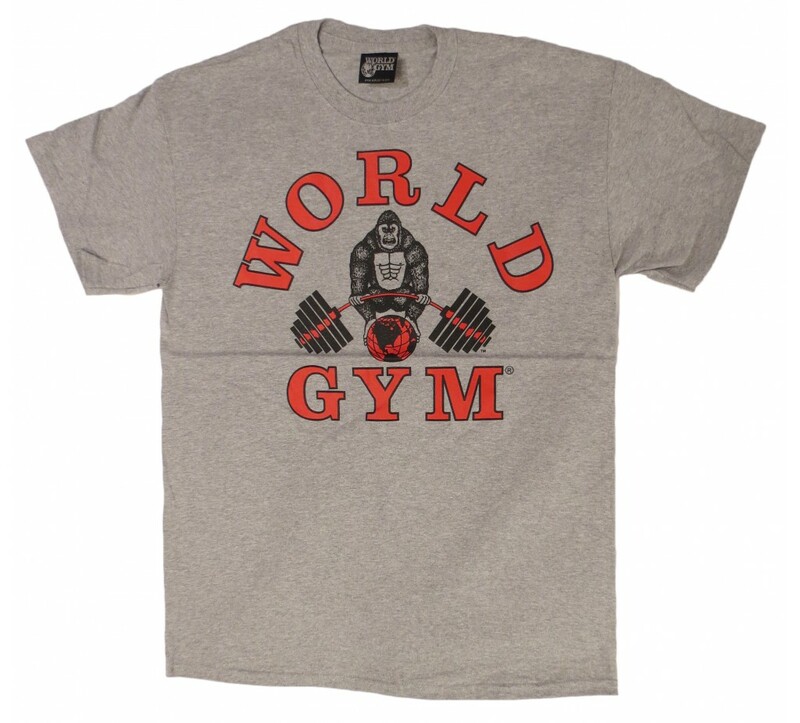 This is for the World Gym bodybuilding t shirt with the gorilla logo on the front only. 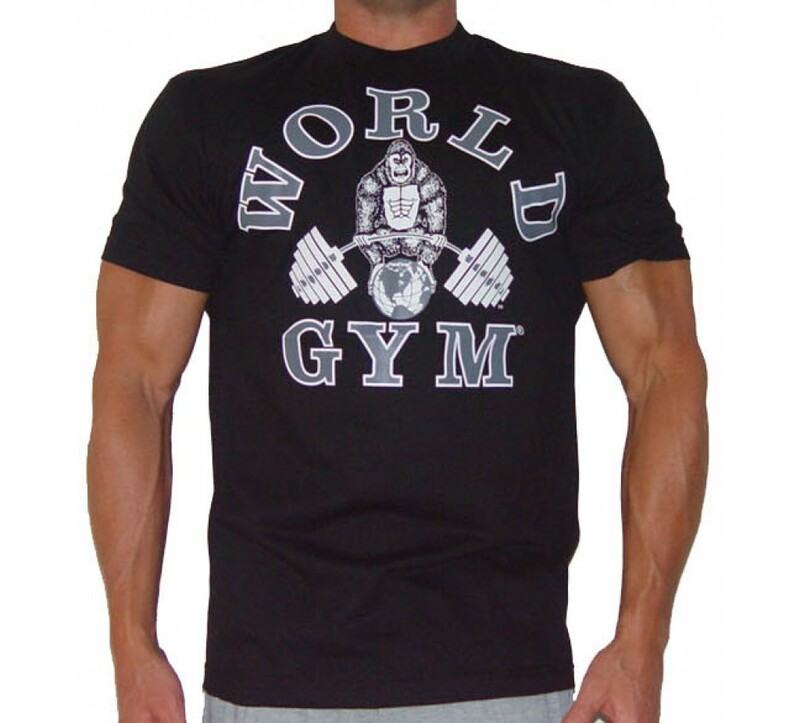 3X-5X bodybuilding shirt colors: black, grey, charcoal.